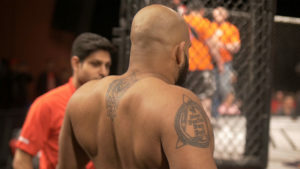 This feature-length documentary features Arjan Singh Bhullar in his quest to become the first fighter of Indian descent to earn a UFC contract. Over the past few years, RabbitView has produced 80 sports-oriented documentaries for International broadcast distribution. Arjan Singh Bhullar (born May 13, 1986) is a Canadian mixed martial artist. 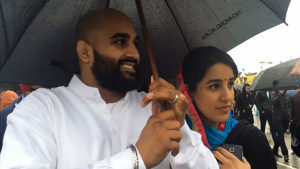 Bhullar has represented Canada internationally as a freestyle wrestler at several world championships, at the 2010 Commonwealth Games and at the 2012 Olympic Games. He is from Richmond, British Columbia. Bhullar is of Indian Sikh descent. Bhullar is currently ranked #21 in the heavyweight division by the website MMA World Ranking. Arjan was a multiple time provincial and Canadian national wrestling champion. He graduated from Simon Fraser University and competed in the NAIA and the CIS. In 2006, Bhullar won a bronze medal at the World University Games. Bhullar is a two time NAIA champion and was named the outstanding wrestler at the 2009 NAIA Championships. In 2009, Arjan became the first athlete to win a championship in both the CIS and NAIA in the same competition year. Bhullar was named the Canada Wrestling’s Wrestler of the Year in 2009. Bhullar won a gold medal at the 2010 Commonwealth Games. Arjan represented Canada at the 2012 London Summer Olympic Games. Giving back to wrestling, Arjan is one of the founding coaches of the University of the Fraser Valley varsity wrestling program. The UFV Cascades compete in the CIS. 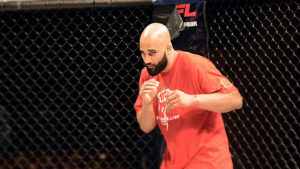 In August 2014, Bhullar had his first amateur fight as a mixed martial artist. He turned pro in November of that year fighting with the Battlefield Fight League. Over the next few years, Bhullar competed exclusively in his native Canada and remained undefeated with a record of six wins. Arjan won the vacant BFL Heavyweight Title with a victory over Blake Nash on October 17, 2015. He has defended the title twice. 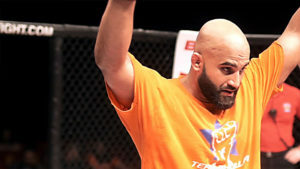 In May 2017, it was announced that Bhullar had signed with the Ultimate Fighting Championship becoming the first fighter of Indo Canadian descent to sign with the company.